Developing a punchy repertoire with 1.e4 requires extensive research, mixed with fine judgement and a good deal of creativity. In this three-volume work, GM John Shaw supplies an ambitious and dynamic arsenal of ideas for White. 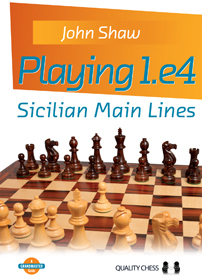 The repertoire is built around main lines, with many innovative suggestions that will cause no end of trouble to your opponents. 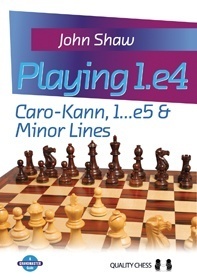 This volume covers the Caro-Kann, 1...e5 and various minor openings. The repertoire will be completed by Playing 1.e4 – French Defence & Sicilian Sidelines and Playing 1.e4 – Sicilian Main Lines.